Ski Holidays to Axamer Lizum in Austria 2017 & 2018. Axamer Lizum is a superb ski resort, near Innsbruck in Western Austria. The resort is a favourite with Austrian locals who prefer Axamer Lizum to many of the other top resorts in the area. This area is also popular with tourists who come to Axamer Lizum to experience its fantastic ski opportunities, stunning scenery and warm atmosphere. This resort is also all inclusive, making it a popular choice for those who want luxury and convenience built into their ski holiday. Axamer Lizum has good snow conditions and has twice been the venue for the prestigious Winter Olympics. The resort is the highest ski area in the Innsbruck region, contributing to its popularity. For beginners, the resort offers ‘ski in, ski out’ for convenience. For most advanced skiers, the rugged terrain is challenging and there are some excellent off-piste opportunities. You can get to the ski area on the Magic Mountains transfer or take a ride in the eight seat Gondola. One of the highlights of this resort is the magnificent scenery.. The scenery at Axamer Lizum is second to none and is regarded as the best in the Innsbruck region. As the resort is all inclusive, your lift pass, ski equipment, children’s tuition and midday meal at the Magic Mountains restaurant are all included.. There is plenty going on at Axamer Lizum, so you will always be entertained day or night. There is a welcome evening to introduce you to the resort when you arrive, the weekly programme of activities will be outlined here. Activities at the resort include a darts evening, guided torch-lit walk and live entertainment. Those who want to take advantage of the snow in Axamer Lizum should visit the daily ice skating in Gotzens. You can go on a horse drawn sleigh ride experience, tobogganing or even Olympic bobsledding..
For those who want a break from skiing yet still want to be active, there are some good hiking opportunities on the back country runs off the ski lifts.. It is also worth taking a day trip to Innsbruck. Innsbruck is a charming city with plenty of character. It is a cultural centre with plenty of attractions and things to do. There are also many events throughout the year including the Festival of Early Music and the Innsbruck Dance Summer.. There is a great deal of excellent accommodation available in Axamer Lizum. Much of the accommodation is family run and includes breakfast. These include hotels, inns and sometimes chalets. One of the best things about the accommodation in Axamer Lizum is its proximity to the slopes. It is only a very short walk to the lifts from most of the hotels – so you have the maximum time possible on the slopes. There are some hotels and inns further away from the ski lifts. This accommodation has a more traditional, homely feel that typifies Austrian accommodation, but it is not quite as convenient.. The apres-ski programme at the resort consists of the Magic Evenings programme, this is included in the price of your ticket. As part of the Magic Evenings programme, you can enjoy a selection of events and entertainment evenings. The nightlife around the resort is mostly family oriented, so expect plenty of events and evenings dedicated to entertaining guests of all ages..
Innsbruck is only twenty minutes away from the resort. Those who are seeking nightlife should take a night or two out here. Innsbruck has a lot to offer with plenty of cosmopolitan bars and nightclubs.. There are many restaurants in Axamer Lizum. You can get traditional authentic Austrian dishes, including fondue, for inexpensive prices. Axamer Lizum cuisine provides some of the best value for money you can find in any of the ski resorts in the area..
Innsbruck is the closest airport and is situated only twenty minutes away by car. There are regular flights to Innsbruck from airports in the UK. Once you arrive in Innsbruck you can easily get a taxi or arrange for a transfer to the resort. If you are driving yourself, the route to the resort is well signposted. There is also a regular bus service from Innsbruck train station..
Axamer Lizum is a fantastic resort for those looking for a cheap, all inclusive ski holiday. There is enough to keep you entertained for the entire holiday and the atmosphere is warm and welcoming. 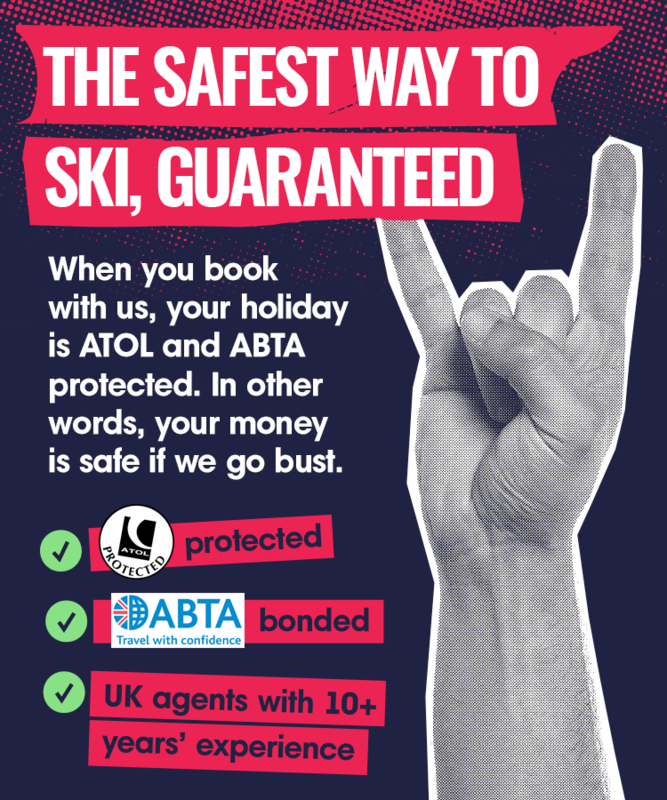 The ski opportunities are appropriate for all the family. The resort gets 3 stars for both beginners and experts, but 4 for intermediates as Axamer Lizum caters brilliantly for this category of skier.